UGears: Fun STEM models for your family! I’m pretty sure that it’s a commonality among homeschool moms that when we’re shopping for Christmas, birthdays, and other gift giving times, we love to find items that are both fun AND educational! (Can I get a witness?!) Well, I hit the jackpot when I found out about UGears last Christmas, and boy-oh-boy, I’m so excited to tell you about this company and the cool stuff they’ve got. 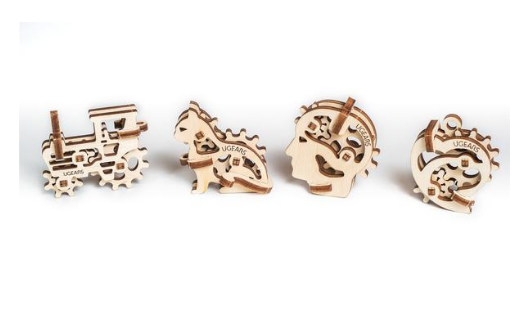 Originally from the Ukraine, UGears specializes in creating mechanical model kits. So, think of something like model airplanes or a ship in a bottle, except way cooler, because there are working parts and things that go! 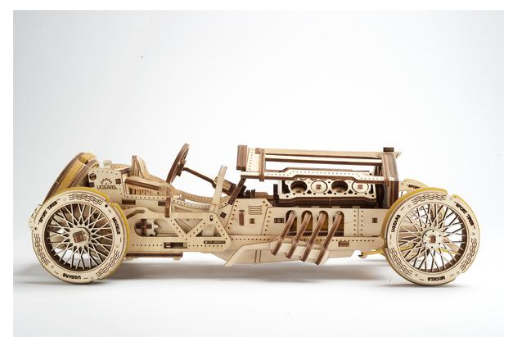 UGears are made from quality wooden materials and go together without any glue. Clear step-by-step instructions walk you through the assembly process. 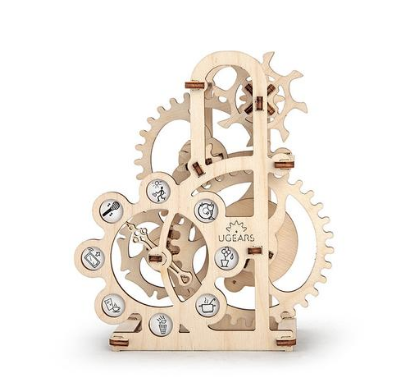 One part puzzle, one part engineering marvel, each UGears model offers the fun and challenge of creating a moving item that is fun to play with and makes an interesting decorative piece as well. These 3D models are really interesting to put together because you get to see the inner workings of the piece, often including gears, pendulums, and other machinery parts. 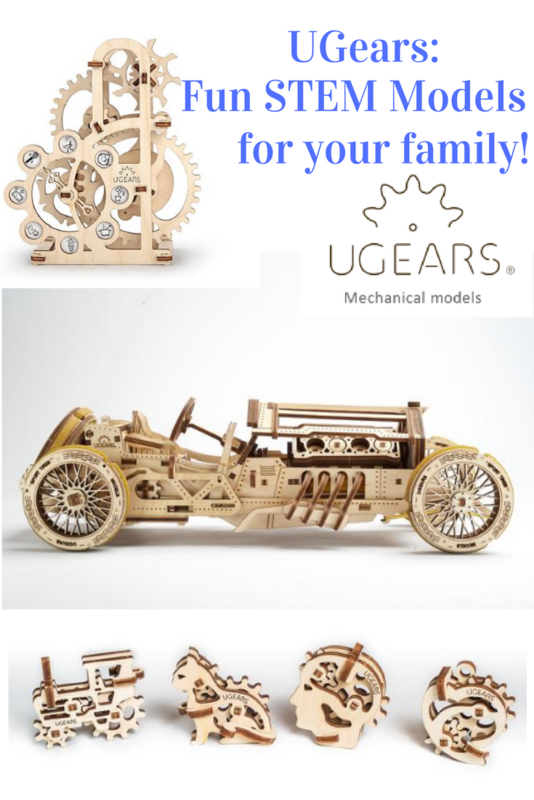 UGears offers a wide range of models, ranging from items simple enough for younger kids on up to items that would be challenging for adults, or perfect for dad to put together with the kids! We have several UGears pieces in our home now, so I wanted to share with you our experience with them. This is one of the sets that I purchased for Christmas last year. There are four different miniature models that are fun for holding in your hand and spinning around a bit. They were pretty easy for my 14 year old son to put together in a short amount of time. They are a good starter project for kids (recommended age is 14+ but my son and I both think younger kids could make these) and make a cool little display on a shelf. They don’t do a whole lot, but it is fun to see the gears move and work together. This is the other model that I got for my son for Christmas. I selected this because it looked interesting but not too difficult for assembly. (It is rated Easy and is recommended for ages 14+) The Dynamometer uses the same principle as a pneumatic engine, and includes a lot of gears and the mechanical junction known as a Geneva drive. Pretty neat! We were excited to get the Grand Prix Car from UGears recently, and my son (now 15 years old) had fun putting together this more complex model. The inner assembly of this car is really interesting, with a 16 valve V8 engine and fan, a transmission that can switch between gears, and many more fascinating features! The wheels are rubberized to give it extra grip as it rolls along, too. It’s a beautiful and eye-catching piece to have on display, and after spending nearly 10 hours assembling it, it is something my son enjoys and feels a sense of pride and accomplishment about. All of our models have been fairly sturdy, but of course they are not meant for rough play. While they all do “go,” the ones we have are not self-propelled. You can definitely enjoy and appreciate the movement of the working parts, and the nicely-designed finished product to have on display. To us, the assembly process has been a really fun experience. If your kids can follow Lego instructions, they can work with UGears, while gaining valuable perspective on the way gears and other mechanical pieces can work together to make things do what they do. To end up with an attractive keepsake at the end makes it even better! I think UGears would be wonderful for homeschool families because it’s one of those fun-while-learning items that you can provide for your children as a true delight-directed educational opportunity. I also think the more complex models would make great gifts for dads that would enjoy working with the kids on a project like this in the evenings or weekends. Overall, I highly recommend UGears as a wonderful option for educational fun and gift-giving! This review and giveaway have been sponsored by UGears. Opinions expressed in the review are my own.